Ketosis and ketoacidosis may be similar sounding terms, but they are completely different conditions. While one helps to lose weight and extra fat in the body, the other is a life-threatening condition that can be controlled. Let us look at what both ‘Ketosis and Ketoacidosis’ mean. The full term is known as Diabetic Ketoacidosis. It usually occurs in people with Type 1 diabetes. When the insulin levels drop too much, the blood sugar becomes very high. Since insulin is responsible for transporting the glucose molecules to the cells, they feel starved. To derive energy for biological processes, the body starts burning fat. This leads to the formation of ketones in the blood that is acidic in nature. This causes a chemical imbalance in blood and is known as Diabetic Ketoacidosis. The condition can cause serious harm to various organs and shut down the human body. 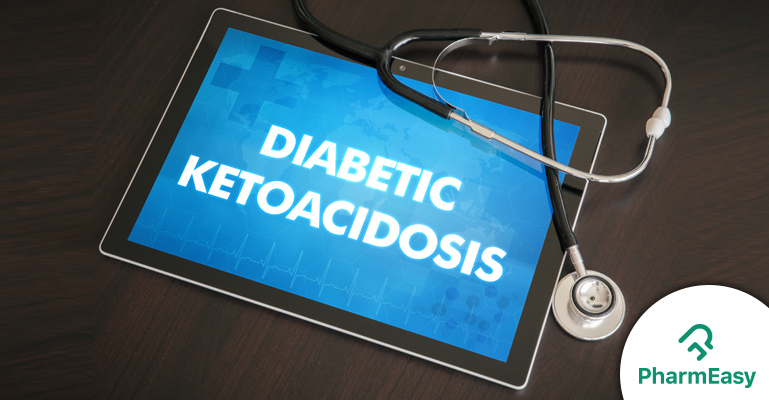 Diabetic Ketoacidosis can be life-threatening if left untreated. The elevated acid levels in the body can result in loss of consciousness, going into a coma and even death. 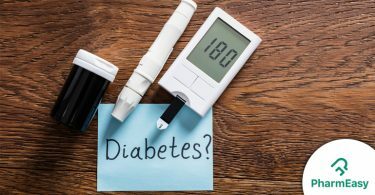 While it is primarily a condition that affects those with Type 1 diabetes, in rare cases it can affect those with Type 2 diabetes when their insulin levels fall really low. The various causes of diabetic ketoacidosis are an inefficient management of diabetes or low levels of insulin. Injuries, illnesses socially urinary tract infections, and pneumonia, emotional or physical trauma, drug abuse, excessive alcohol consumption, steroids medication, and diuretics affect insulin levels tremendously. Those who have recently had a heart attack or a pancreatic infection are also vulnerable to diabetic ketoacidosis. The condition can develop in a short span of time, sometimes within 24 hours. Research says that diabetic ketoacidosis is the leading cause of death in people less than 24 years of age. Treatment of diabetic ketoacidosis usually involves administration of insulin and electrolytes. Insulin helps to bring down the high glucose levels and electrolytes are given to replenish those that have been lost due to urination, vomiting, and loss of appetite and to restore nerve, muscle and heart function. Prevention of diabetic ketoacidosis is through good control of blood sugar levels. If the sugar levels are consistently higher than 300mg/dL, call an emergency. Keep urine test strips that check for ketone levels at home or with you if you will be away from home for a long time. If the tests show moderate to high levels of ketones, consult your doctor immediately. Drink plenty of fluids to flush out the toxins from the blood and take insulin medicines or injections to help your body. The situation improves within 48 hours of being administered medical treatment. The doctor may review your insulin dosage to avoid further emergencies. However, Ketoacidosis is not to be confused with ketosis. Ketosis and Ketoacidosis, while they may sound similar to the untrained mind, they are very different. Let’s learn how. Ketosis is a natural biological state that the body enters into when burning fat as fuel in the absence of glucose. It happens in those who follow a low carbohydrate diet or those who have been fasting. To burn fats instead of sugars is the aim of many low-carb diets that aim at weight reduction. Those who follow a ketogenic diet undergo the process of ketosis. They limit their intake of carbohydrates and eat a high fat and moderate amount of protein in their diet. The protein aspect of the ketogenic diet is important since it stops the body from using up muscles (which are made of proteins) as a source of fuel. Forced to turn to fats, the body becomes leaner and fitter. Ketones are the byproduct of fat-burning in the body. The liver burns off the fatty acids to provide fuel to the body and the ketones, thus formed, provide energy to the vital organs. A ketogenic diet helps to burn fat as the carb intake is much lesser. Plus it has more satiety levels. research done into ketogenic diet shows that it improves brain performance, reduces seizures in epileptic patients, benefits those with Parkinson’s and Alzheimer’s and enhances the performance of those who are involved in long stretches of exercise. The Ketogenic diet, when done under the supervision of experts, can help diabetics in executing good blood glucose control. It helps to boost the overall metabolic health of any individual. There are some groups who must not follow ketosis pattern of weight loss. Pregnant women, lactating mothers, people with kidney damage, and those who take certain medications must avoid ketosis happening in their bodies. Both the conditions, Ketosis and Ketoacidosis sound the same but are vastly different. If you plan to undergo a ketosis treatment voluntarily, talk to your doctor to rule out any possible negative outcomes. If you are a diabetic, continue taking insulin medicines even if you are ill or have suffered an injury. Take your medication on time to avoid complications. In case you feel you are suffering from diabetic ketoacidosis, call your doctor and head to the emergency section.